Our best selling hoodie, ever. 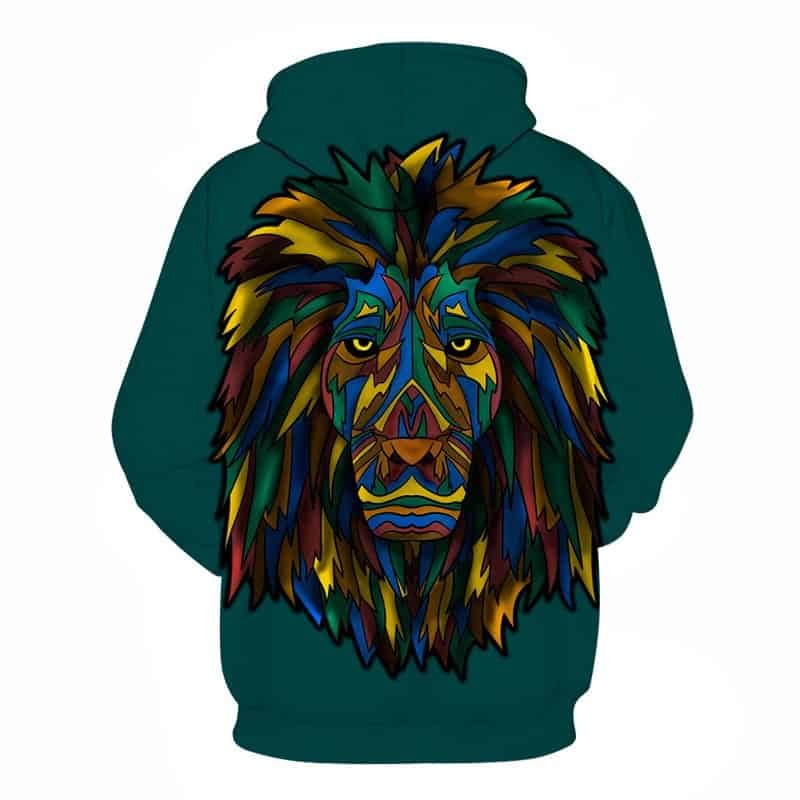 The lion is majestical and the colors create a perfect blend with the dark green backdrop. 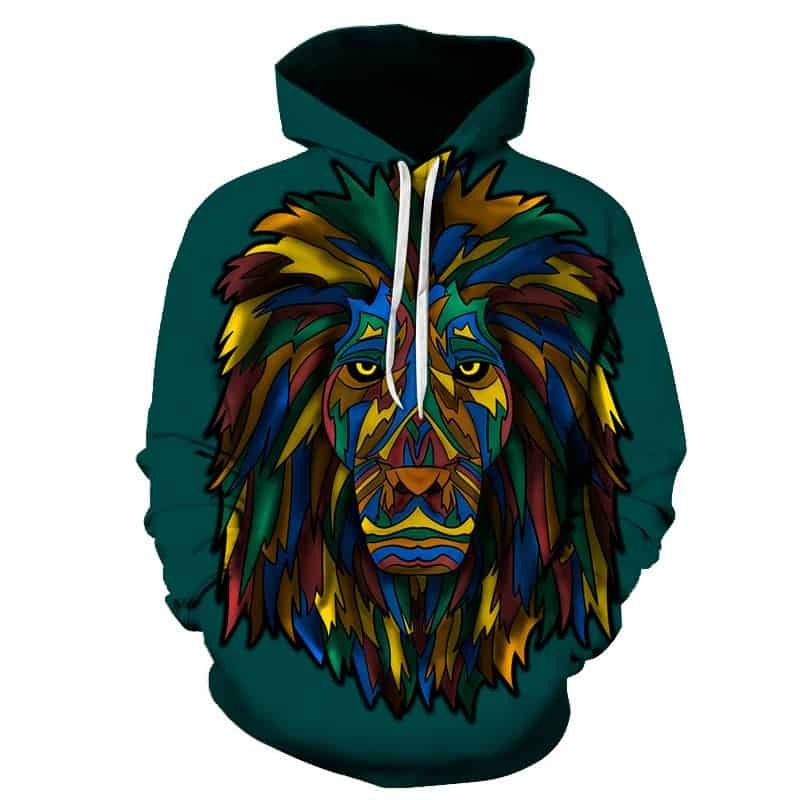 Overall, just a very stylish colorful lion hoodie. The hoodie is comfortable to wear, looks fashionable and is wearable anywhere. It was designed for both male and female.